Toy typewriter made of lithographed tin with folded seams and rolled edges. When the red lever flanked by pair of functional red keys is depressed, the printing dials at the center top is pushed towards carriage. 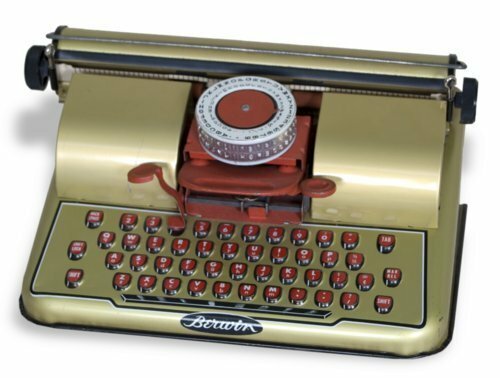 This is a Berwin "Gold" typewriter made by the Western Stamping Corporation in Jackson, Michigan between 1960 and 1970.